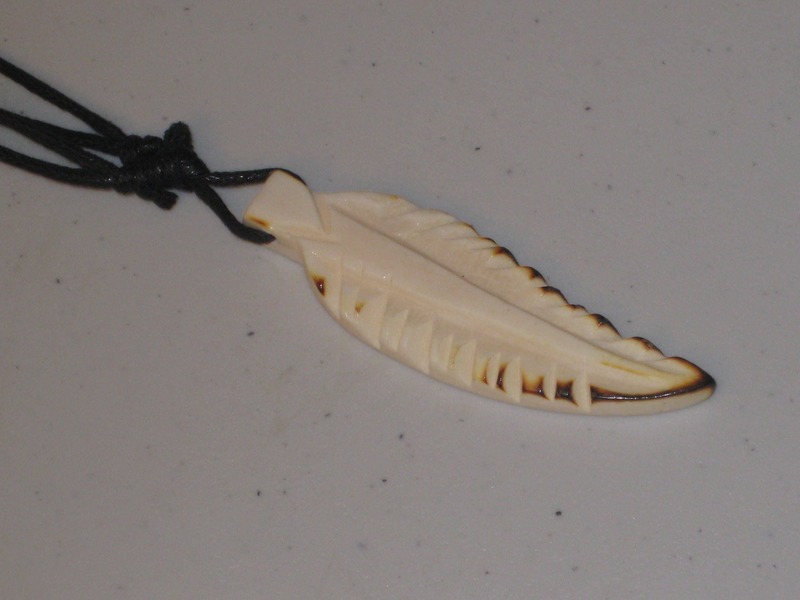 Hand carved Buffalo bone leaf. 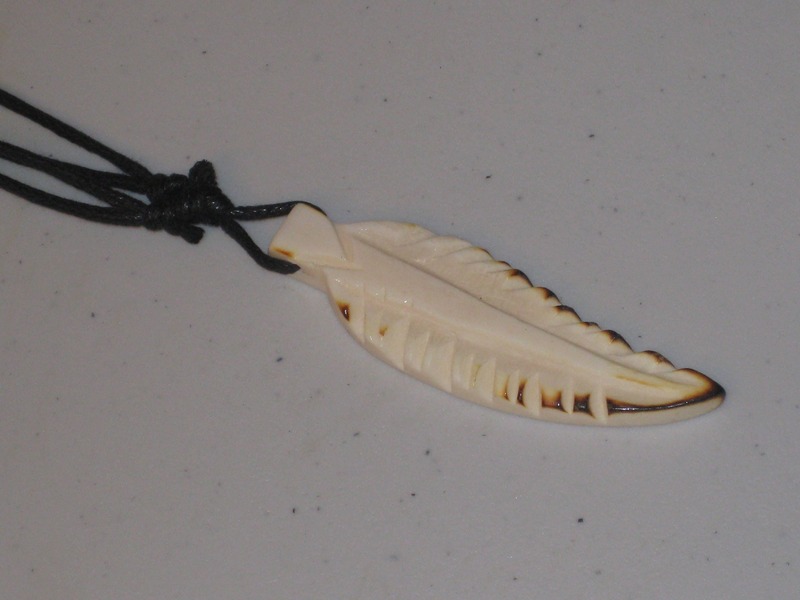 Hand carved buffalo bone leaf pendant, with adjustable necklace 17 to 33" long. Pendant is hand made by me, and the edge is burnt for affect of live leaf.